Engaged Buddhism is founded on the belief that genuine spiritual practice requires an active involvement in society. Engaged Buddhism in the West illuminates the evolution of this new chapter in the Buddhist tradition - including its history, leadership, and teachings - and addresses issues such as violence and peace, race and gender, homelessness, prisons, and the environment. "This book is crucial reading for all persons who care." "Please read this book with care and compassion for all beings. It is a deep and rich offering, an important look at the work of engaged Buddhists who have acted from their practice. The chapters in this volume show how engaged Buddhists are offering the fruits of their practice in very concrete ways in the West. These writers help us understand and gain inspiration from engaged Buddhism as it is practiced in daily life and in society today. When we study the Lotus Sutra in Plum Village, we discuss the ultimate dimension, the historical dimension, and the action dimension represented by the bodhisattvas practicing engaged Buddhism. In each moment we too can transform suffering and offer relief to ourselves and to society." "Here are 20 substantial, well-organized, and readable contributions on diverse groups and topics... the publication of this book could well mark the opening of a new phase in the history of engaged Buddhism." "A very useful introduction to the diverse, growing, and influential social action movement in Buddhism... at its best, Engaged Buddhism gives solid practial ideas for lay Buddhists to use their practice to avoid harming and to benefit others--prime directives of the Buddhist way." "Shows us how this small and somewhat fringe movement has become a thriving form of Buddhism today... Queen and his coauthors present socially engaged Buddhism in its full diversity, complexity and vibrancy... This book provides a much-needed map, rife with concrete examples of the many manifestations of socially engaged Buddhism in the West. It is a tremendous contribution to the field, both as a resource book and a philosophical tool. The bibliography alone is excellent." "These 19 essays trace the history, leadership and teachings that have given shape to this newest chapter in the Buddhist tradition, addressing such issues as violence and peace, homelessness, prisons, the environment, and race/gender inequities. Scholarly and authoritative, it is yet engaging and illuminating, the effect, as Queen says, of 'sitting around a seminar table, listening to a lively conversation.'" "Queen masterfully gathers voices from Western groups that practice the ethics of Buddhist engagement... Through caring, charismatic leaders, newsletters and grassroots activity, engaged Buddhist groups focus on the environment, race and ethnicity, gender and sexual orientation, healing and stress reduction, and work as dharma practice. Scholarly yet personal, detailed yet wise to general movements, timely yet historically grounded, this is an absolute must for all who care about changing our world." "Broad in scope, [this book] details the work of organizations and projects throughout the world, working areas such as health, education, commerce, prison reform, the environment, peace and gender equality. Unlike other works of its kind, it reflects a more appreciative tone for the persons, groups, and events shaping the new Buddhism." "In twenty absorbing, informative studies exploring Buddhist activism in the western countries and cultures, the contributors address such issues as violence and peace, race and gender, homelessness, prisons, and the environment. 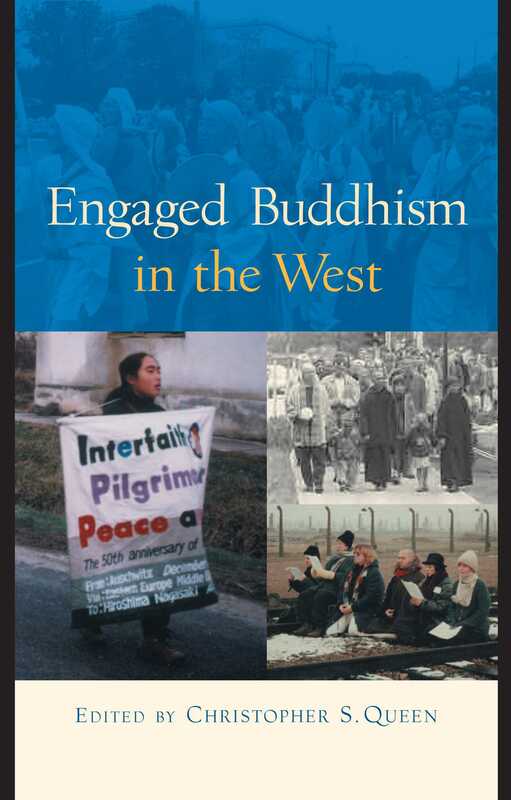 Engaged Buddhism in the West is a seminal, benchmark work... and a highly recommended contribution to the growing library of Buddhist literature for the Western reader." "An excellent starting point for taking another good look at what is happening to Buddhism transplanted on america-european soil..."